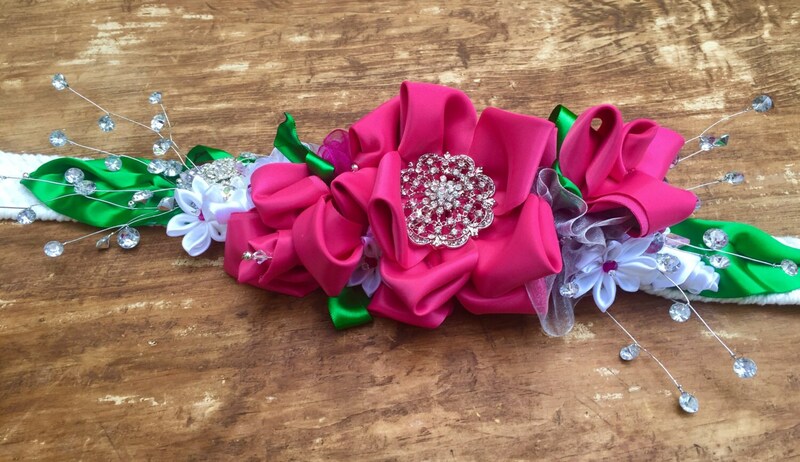 A very special dog collar for a very special day! 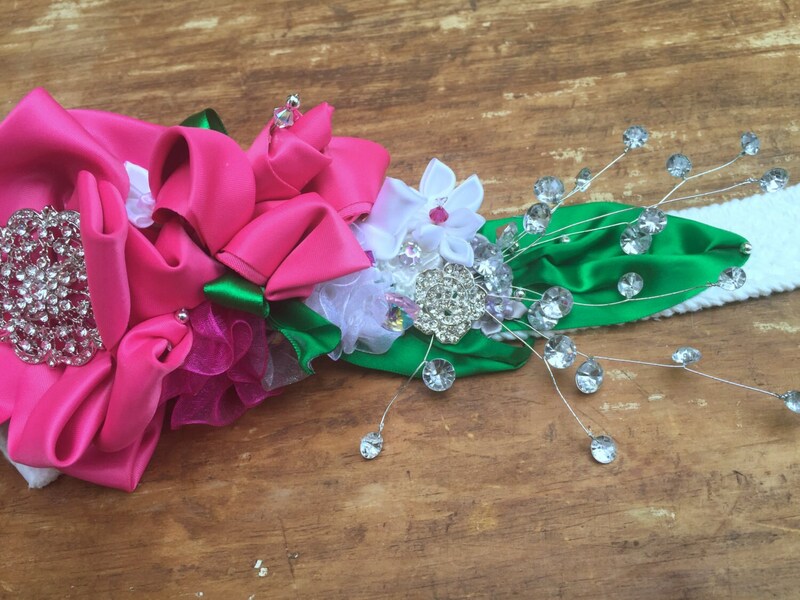 I will create the flowers in the colors of your wedding. A mix of delicate small, medium and large flowers, jeweled details are rhinestones, and silver or gold settings, or pearl depending on your wedding. 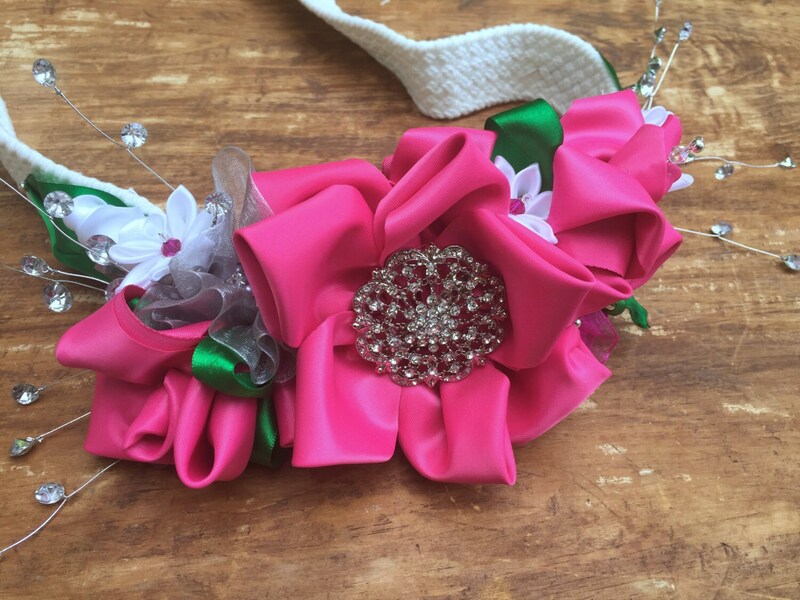 All items are hand-sewn onto webbing and webbing is hand-sewn onto the dog collar so that the backing of the collar is clean and won't tangle in dogs coat. I will send photos at each stage of production so you have a chance to approve before final shipment. I will convo you upon purchase to inquire about colors and your likes etc. The collar will use either heavy duty white nylon or off white/tan webbing with ends melted to prevent fraying. 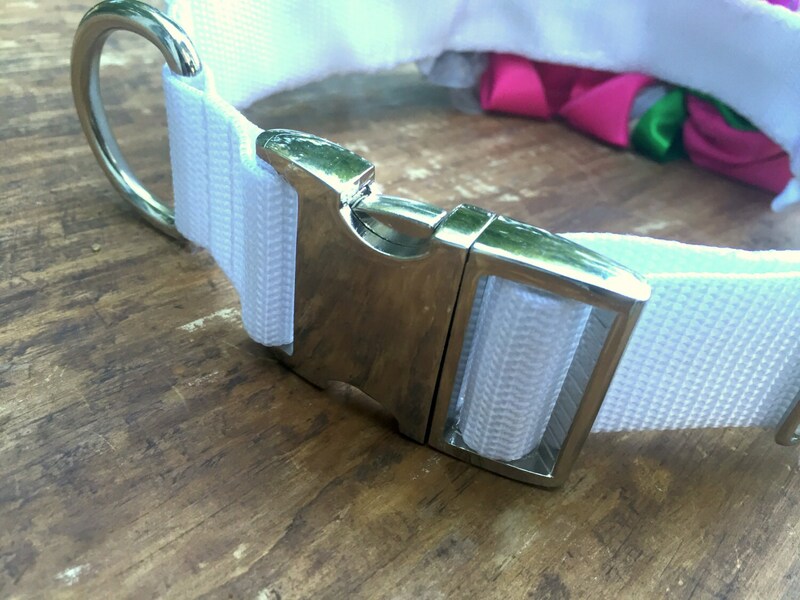 Collar will open and shut with matching white, gold or silver contoured side release buckle and is adjustable up to 15 inches for SMALL collar, 18 inches for a MEDIUM and 24 inches for a LARGE or 24+ for EXTRA LARGE using the adjustable triglide slide. Latch your dog up for the big day with the matching metal square bottom heavy duty D-Ring. Collar will be triple stitched and boxed stitched for security and safety. 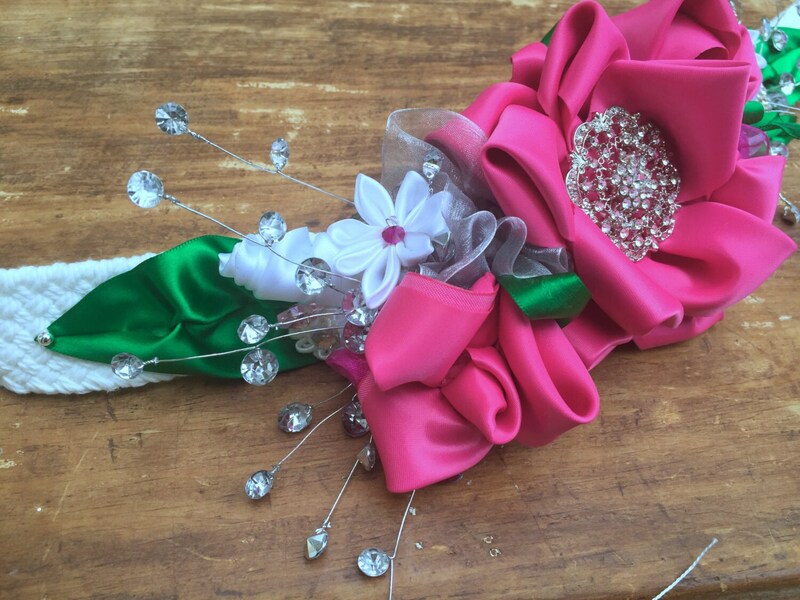 Please be aware that this is a time intensive hand-made item and lead time is 4 weeks so please order well ahead of the big day. Width of webbing will be 1 inch except for EXTRA LARGE collars where I will use 1.5 inch width. Please keep in mind because this is a handmade item each collar will be a unique representation of our initial conversation the pictures used in this listing are only for example of past work.